When you think about oral hygiene, dental floss and toothpaste are the first thing that come to mind. 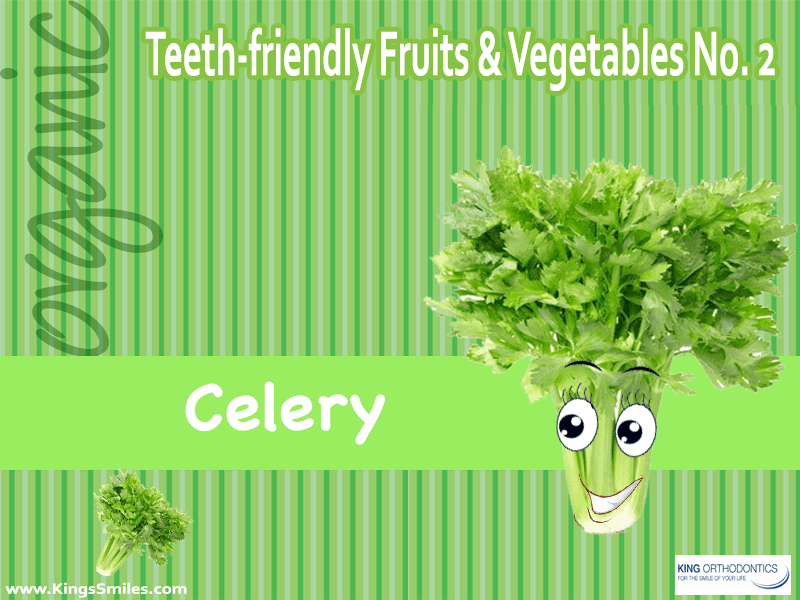 While they are essential, you can take your efforts a step forward with teeth friendly fruits and vegetables. Celery is at the top of the list. Not only is this vegetable a great source of fiber, it will clear out any debris in your mouth and make your teeth stronger. As an added bonus, you won’t be taking in more sugar that will promote tooth decay. Fresh produce can take care of your teeth, but you might need more help. Your teeth could be in great shape, but that won’t solve orthodontic problems. If you have problems with spacing, your teeth are crowded, or you have an issue with your bite, you need an orthodontist. King Orthodontics can help you to explore your options, such as Invisalign or traditional braces. Invisalign is especially popular because it is the practically invisible solution that is removable. You can take aligners out when you need to clean your teeth, eat, or have a special event. You will be able to take care of oral hygiene and get your teeth in proper alignment.